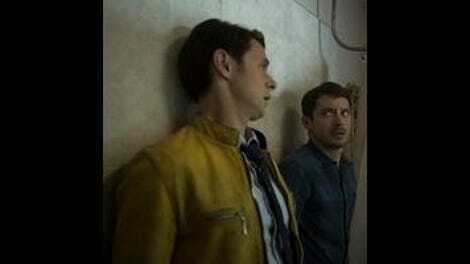 Are unseen forces at work to force Dirk Gently to solve cases? That’s the suggestion as we move further into the central mystery at play here. He dials down the manic energy for just long enough to suggest to Todd that whether he wants to or not, he’s responsible for resolving all the assignments he receives, with almost but not quite enough sincerity to suggest pathos. For a show about him, Dirk rarely seems like a real person. He does ridiculous things to inspire Todd to follow him, then immediately expresses regret. He pokes every bear it’s possible to poke. It’s a lot less holistic detecting, and a lot more crashing chaotically into whatever comes up. He also withholds information from Todd at random, and it’s unclear if there’s a reason why. But at least this episode suggested more of a sense of purpose. Instead of being thrown at random into each situation, we got a little background about each person and how they relate to the whole. On the other hand, was there anything about Farah’s situation that couldn’t have been revealed in the first episode? The entire premiere is structured in an in media res style, where we’re dumped into each character’s situation without knowing too much about it, and then the second episode has to spend most of its time revealing who these people are. And the whole thing still is bursting at the seams with too many people. The various different police officers are difficult to differentiate, and in the universe of the show, FBI officers watch a woman get kidnapped and do nothing about it. At least karma takes care of them awfully quickly. And the entire hostage negotiation was funny. The notion of a hostage negotiation wherein neither party understands why they’re there is the kind of absurdity that the show could do more often. Instead, there’s an awful lot of time wasted on the assassin subplot, when the whole thing could be wrapped up pretty quickly. Why show the assassin asking her captive what he was up to when we had a reasonable sense of what he was up to in the last episode? On the plus side, we’re finally starting to learn some of the rules of the show’s universe without going overboard on the more mystical elements. Not all of the pieces are in place yet, but the suggestion that the assassin and Dirk are cut from the same cloth offers up the hint of some kind of framework here. And the proudly non-Matrix style bullet dodging she employs reassures the audience as much as her captive that something else is at work. She’s not just a serial killer. More importantly, I’m now genuinely curious about what happens if she and Dirk meet. Do they fall in love? Fight to the death? Discuss whether or not they’re quoting Serenity when they talk about their life philosophy? The Amanda subplot, on the other hand, is a little iffy. Can the show even sustain a mystery that doesn’t immediately connect to its main story? Clearly, the Rowdy Three are after Dirk in some way, but how long can she engage with them without it linking back to the main story? When every episode crams in every single character, there’s an efficiency of storytelling needed. 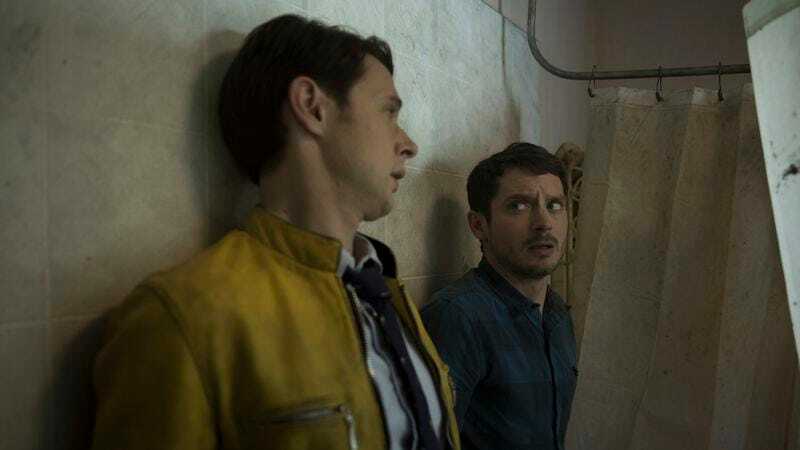 The Rowdy Three are in danger of being the subplot you hate for wasting precious episode minutes that could be spent moving the plot forward. And lastly, we have Todd, still trying to decide whether or not to trust Dirk. Ignoring the huge plot contrivance that he didn’t immediately redeem the lottery ticket but is instead just carrying it around loosely, it’s not totally clear why he does what he does. We know he needs to avoid the police, but wouldn’t it make more sense to anonymously tip them off about Lydia’s whereabouts instead of letting Dirk handle it? And shouldn’t he be spending his time trying to get a new job? Too often, he’s set up just to react in shock to Dirk instead of developing his own momentum. Any show needs events to happen to direct its plot wherever it needs to go, but it’s not ideal when characters are acting in really odd ways to move things forward. There should be some smoother way to combine the chaos of this universe with realistic character motivations. We all figured out that Lydia was the dog right away, right? Looking forward to discovering who the kitten is next week. “I do a lot of things and then I’m like, ughhh.” Same, Dirk. “How have you survived this long?” A very valid question from Todd. Chief Tyrol! I didn’t even recognize him in the first episode. The press photos have names for both the assassin and her captive, but I’m not sure the show has suggested their names yet? If anyone can name every character on this show without looking some of them up, I’d be impressed.